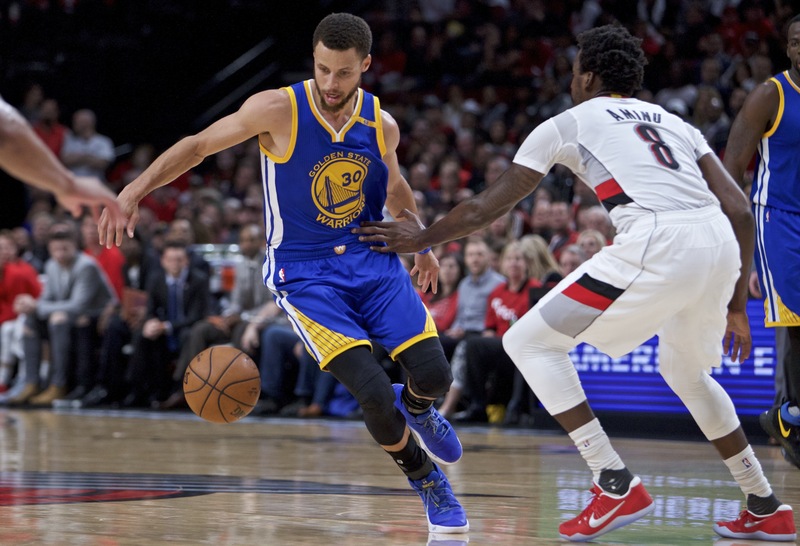 Portland, Oregon (AP) – Stephen Curry had 37 points before sitting out the final quarter and the Golden State Warriors welcomed back teammate Kevin Durant with a 128-103 victory over Portland Trail Blazers on Monday to sweep their first-round playoff series. The Warriors advanced to the conference semifinals, where they’ll face the winner of the series between the Utah Jazz and the Los Angeles Clippers. Golden State played for the second straight game without coach Steve Kerr, who has been experiencing a flare-up of symptoms stemming from back surgery a couple of years ago. Assistant Mike Brown has served as head coach in Kerr’s absence. Durant hadn’t played since Game 1 because of a strained left calf. He started and the Warriors built a 72-48 lead by the end of the opening half.